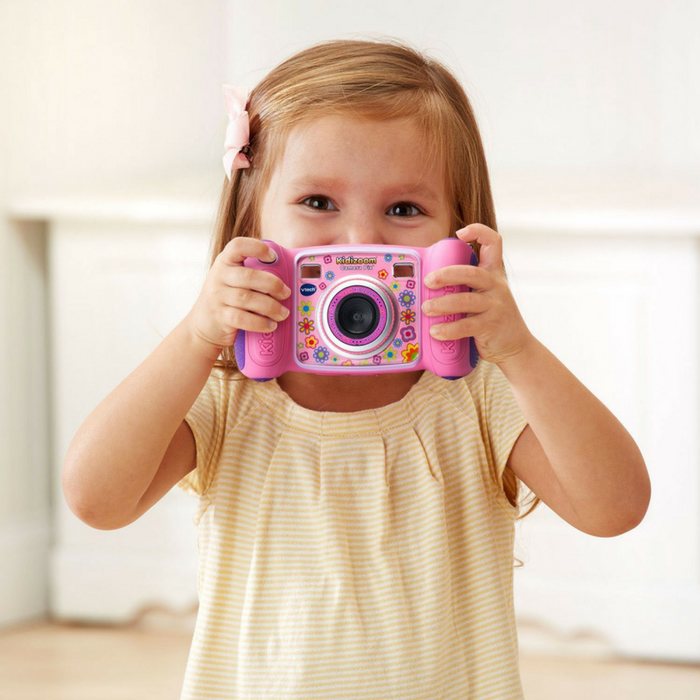 VTech Kidizoom Camera Pix Just $29.88! Down From $40! PLUS FREE Shipping! You are here: Home / Great Deals / Amazon Deals / VTech Kidizoom Camera Pix Just $29.88! Down From $40! PLUS FREE Shipping! Your kids are going to love this! Head over to Amazon to score this VTech Kidizoom Camera Pix for just $29.88 down from $39.99 PLUS FREE shipping! Take real digital photographs with the durable Kidizoom Camera Pix by VTech. This kid-friendly camera includes all the tools budding photographers want to use. Turn the camera to take a picture of yourself and it will automatically detect faces for a perfect selfie! Take photos in a variety of exciting templates to create your own photo collages. Explore your creativity by using static and animated photo effects to enhance your pictures. The Camera Pix also has a video recorder, voice recorder, 4 built-in games and more that add to the fun. Explore your creativity!